Citing a Congress leader's remarks on 'killing' him, PM Modi said, "I am not bothered about threats and abuses. Will do whatever it takes to make India strong"
Prime Minister Narendra Modi Wednesday said he was not bothered about threats and abuses against him and asserted that he would do whatever was needed to make India strong. Citing a Congress leader's remarks on 'killing' him, he said, "I am not bothered about threats and abuses. Will do whatever it takes to make India strong." Lashing out at the Opposition, he said they are guided by politics and selfish interests and neither want a strong India or a strong armed force. "Modi hatred" was reaching new levels daily, he said and added that "there is a competition on who abuses him the most...some even abuse my lower caste." The opposition should clearly state their plan to take the nation forward, he said and reiterated his "maha milawat," jibe (adulteration alliance) against them. Modi recalled that as many as 50 governments were dismissed by former Prime Minsiter Indira Gandhi using Article 356. Even the DMK had become a victim, he said and hit out at the Dravidian party led by M K Stalin, saying "opportunism has prevailed over values,". In his first public rally in Tamil Nadu after his party inked a poll pact with the AIADMK, he announced that the Centre has decided to rename the Chennai Central Railway Station after late Chief Minister M G Ramachandran. Acceding to a long time demand of the ruling party, Modi said "We have decided to rename the Chennai Central Station after the great MGR." 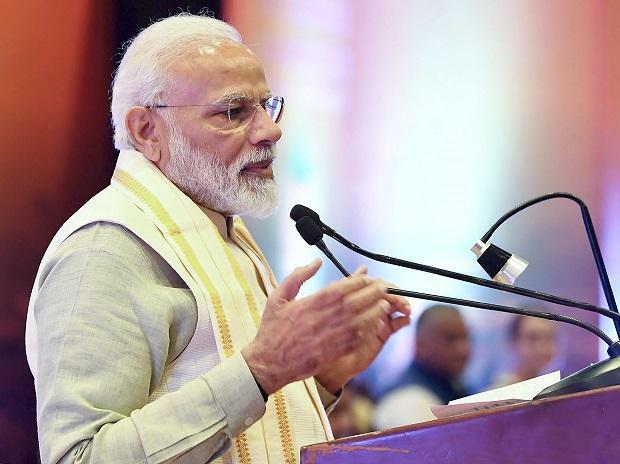 Addressing a grand rally here, the Prime Minister also said that "We are also seriously thinking about ensuring that flights to and from Tamil Nadu have inflight announcements in Tamil language.